Lucid has given me a couple HD7 Red Dot units. An original first generation unit, and then later a third generation unit. I’ve also purchased three other Gen3’s… One as a gift and the two others for my own use. None of these units have had any problems. And I still have one of the Gen3’s. It’s the one Jason gave me. It will continue to be used on one of my family’s AR’s until it goes belly up. Which I don’t see happening any time soon. I’ve sold a lot of Lucid optics to other guys, and have friends that have bought a lot of them as well. Unfortunately Lucid has fall out of favor with them due to one issue or anther. Which is odd to me, because none of mine had ever given me a bit of trouble. My last HD7 still works great, every time, and battery life has been outstanding. 3 weeks ago, I changed the battery in my HD7 Gen3, and realized that that was the first time I had ever had to change the battery in it. After 4 YEARS of service. That’s AimPoint level stuff right there. That’s impressive. The question though… Would I buy another HD7? 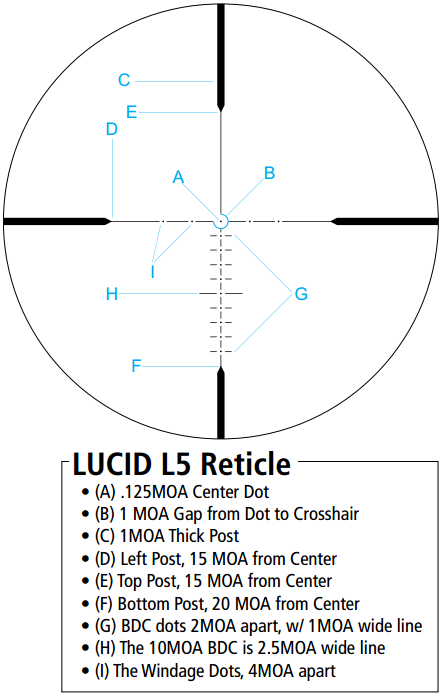 Lucid had sent me one of their new L5 rifle scopes to test out some time ago and I’ve not been able to really get to it. Now is the time. The L5 was never meant to be a Combat Optic. It wasn’t designed for use on an AR-15. You can see, it’s a bit large for this task. The L5 is more suited for a long range hunting or target rifle. It would look natural on a Remington Sendero or the like. 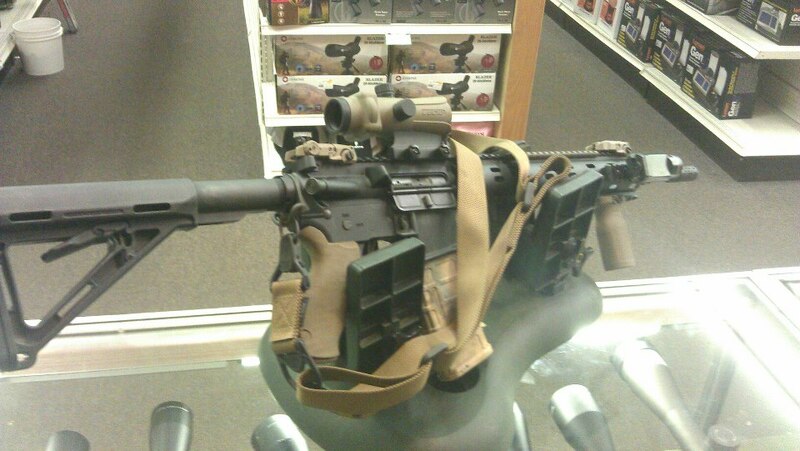 I could see this on an AR-10 as well. But it’s a lot of scope for the light weight AR-15 here. But that’s fine. 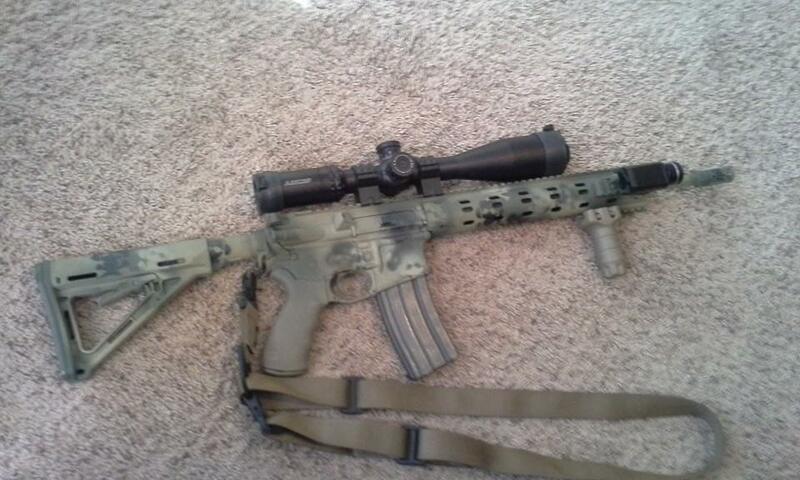 This AR-15 brings a lot of consistency and accuracy that will let me test the Scope, and not the Gun. That’s important here. But you can see, this isn’t making for a real workable configuration for me… It needs something else. You see, this L5 is a 6-24 power optic. Sometimes 6X is too much. The 45 Degree offset is built into the Daniel Defense tube. All it takes is moving the add-on rail sections, and presto. Right over the bore as you want them. The MBUIS lay flat enough that they do not get in the way, and pop up when needed. Simple enough. I tell you what though – I’d never have considered putting this sort of set up on my rifle… But I gotta face it… with my eyes now… I really do need a magnified optic. 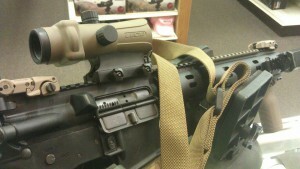 I need something a bit more suited to an AR-15 with magnification… I prefer a 4 power I think. Lucid is said to be working on just that. But this is to test the L5 Scope. Let me start off by saying that I can be an optics snob. I’m not easily impressed and normally any scope under $1200 doesn’t impress me. There are some exceptions to that… and the L5 is one of them. What you are looking for in Glass is Clarity. Optical Clarity is primary. Second to that Brightness. And Third is Color. Some may argue that, but this is my considered opinion. I sold high dollar optics along with guns for many years and I learned to see the differences. The L5 has the clarity. It has the brightness. While it transfers color very well, it’s not a Swarovski. But you are not paying Swarovski dollars either. It does however, have better “CBC” than other scopes of this type, and ones that cost a whole lot more. Between this L5 and one that costs almost double – I’d take the L5 in a heartbeat. That’s the thing about Lucid… if you want something better, you gotta pay double. Tangibly better – you gotta pay a lot more. 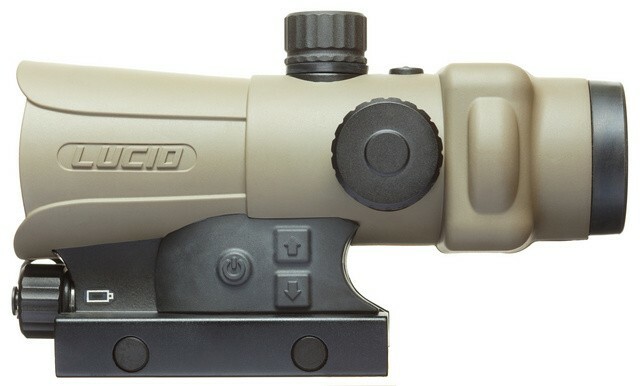 I’ll go ahead and say it – I like this scope a lot better than a Nikon Monarch or a Burris or anything from Bushnell. Millett or the like, need not apply. Lets talk about that for a second – Parallax in a rifle scope is where your target and your reticle are in two different focal planes. This comes across as one of the two being out of focus. The result is that the reticle can swim or move around on the target… making for a less precise shot. To get the most precision out of your scope, and put that round right where you want it, the Parallax must be focused. The reticle and target need to be focused sharp together. Parallax comes into play typically in high power scopes, 12 power or above… which is why most 4-12 or 3-9 scopes don’t have a manually adjustable Parallax. They are factory focused at about 150 yards. Rimfire scopes between 35 to 50 yards. We’re used to seeing the Parallax focus out on the Objective bell. The L5 has it on a third turret, which has become the standard place for Parallax adjustment. This makes any adjustment precise and easy to make… without having to come out of your shooting position to do it. Rule of thumb, set the focus to the range you are shooting. If you are shooting at 100 yards, set it to 100 yards, and then fine tune it. The L5 scope is constructed very well. Very solid, so much so that it reminds me of some very premium optics. A rifle scope is a precision optical instrument… the internals are always delicate no matter who makes them… so they need to be protected. A solid built scope like this goes a long way to help that. The tube body is 30mm, which is ideal and the objective lens is a fat 50mm. If you want a 50mm Obj, you really need to go 30mm in the tube. Too many scopes are out there with a 1″ tube, and that’s just too skinny and you don’t get the light. 30/50 is ideal. I can’t stress that enough. Some companies are putting out larger, which is a fine, but then you are forced to get very expensive specialized rings and your mounting options become limited. Pretty much everyone making Rings these days makes a 30mm option. It’s a common size. Commonality has it’s advantages. Going to a 32mm or something like that… you start to loose advantage over cost and flexibility. The Turrets are tight, but the clicks are distinct and counting 5 up or 4 right – not a problem. I’m not going to name any other brands, but one brand that has a scope similar to this… the clicks were indistinct and made such adjustments vague. I like a fine crosshair. This allows for actual precision shooting. The reticle through the scope is clear and distinct. It’s not an illuminated reticle… but most are not. And for most people, illumination is not needed. I am no Operator anymore and I will not act like one. I am old and busted and enjoy large breakfasts and comforts that go with that… so I don’t want an illuminated reticle in a precision scope. Again, this is a precision scope, not a combat scope. This scope is designed to get me out to long range, and make a good kill-zone shot quickly. Take a look at that reticle. It’s quite simple. To make it even more simple, this reticle is programed into the STRELOK calculator… an App for you Smart Phone. I’ve been a fan of the STRELOK calculator for some time. I used it to zero a .50 BMG and it got me on target with 1 shot. Second shot confirmed it. Done. I can’t wait to get this out and start putting a whole lotta rounds down range with this. Again – Anyone wanting a Lucid optic, use the coupon code MyLucidDeal at checkout. SIDE NOTE: The Lucid HD7 that I had on this rifle is now on my Son’s AR-15. He is quite happy about that. I am afraid that I may not be able to get my HD7 back once this testing is all complete. Edited: Edited to correct my comment about Color. I’ve tested the original Lucid HD7 and found it to be most excellent. One thing that continues to impress me is the unit’s ability to handle recoil. Even after much pounding on an AR, the POA/POI was not changed from when it was zeroed to where the last accurate shots were placed. Granted this was a short test, only 300 rounds, but I’ve seen slight shifts on some other red dots in this price range. The first Gen HD7, I beat the hell out of it on many different hard recoiling guns. I have the impression that the Gen 3 is every bit as tough, if not tougher. The optic I used to run on my personal AR has been an EOTECH, and has been for years. 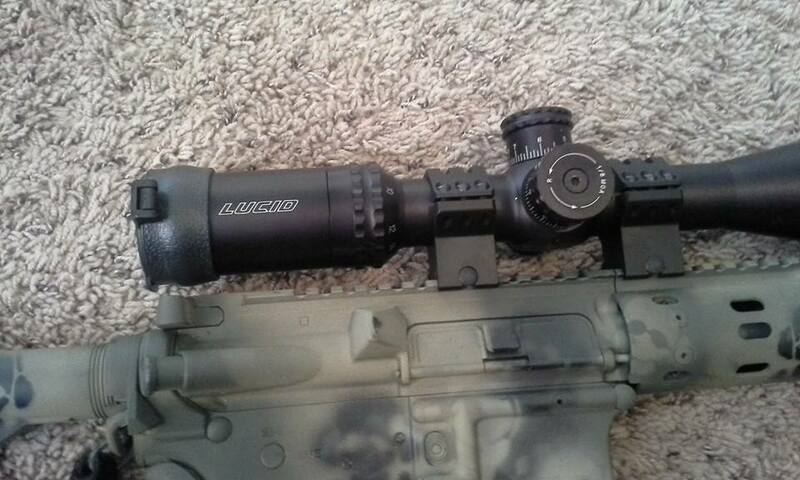 This Lucid HD7 has replaced that Eotech. Because of a couple advantages. A, more precise aiming reticle and B, much longer battery life. The Battery life really pushed it over the top for me. Long lasting, common battery type is a WIN for me. I only have a couple flashlights that run those Surefire 3 Volt Batteries, so I don’t buy them very often. And when I do I usually order them or pick them up when I am in certain stores. AA Batteries can be had anywhere, cheap, and I have them around the house. This commonality is an advantage. With the Lucid, I’ve never had to wait until the sporting goods store opens to get my Red Dot to power on again. I’ve had that problem with the EoTech. The Gen 3 version has some worthy improvements. 3. Better Clarity and Brightness. While the price may have come up a bit on the Retail side – it didn’t come up much and it remains the best optic for an AR under $400. I’ve seen these got for as low as 219.99 and as high as 249.99. Overall – These sights are a Win. Buy one! Lucid sent me two new optics to review. The first is the Third generation of the HD7 red dot. This one in Flat Dark Earth. Initial impression is good. I love the original HD7, and I am seeing an improvement in the Gen 3. The new other optic is the new L5 rifle scope. 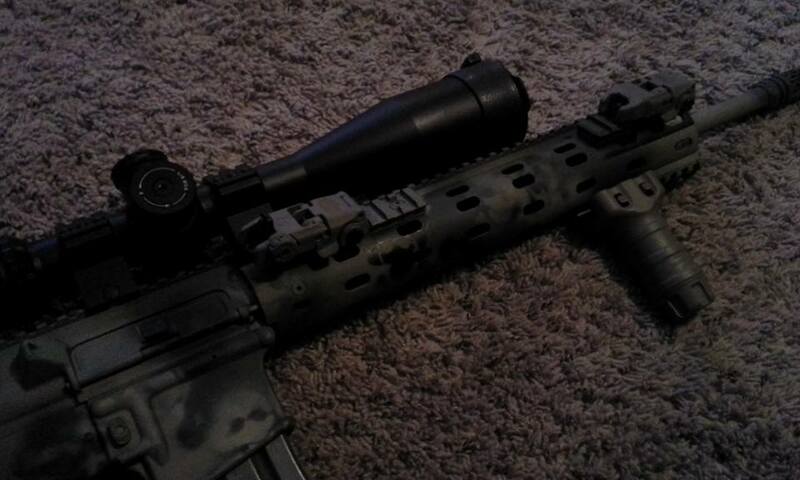 This is the 6.5-20X50, with a 30mm tube, side parallax focus, and a nice ballistic drop/hold over reticle. Again, initial impression is positive. I like the L5 reticle and am a huge fan of hold over reticles anyway. So I’m digging this scope so far. Clarity and Brightness seem on point. I’m looking forward to testing both of these optics on top of Crusader built guns. EDIT: GEN 3 HD7, not 2. Had a question about the Lucid HD7. Would I take it over a Vortex. (Strikefire or SPARC) Hands down I’d buy the Lucid. Again. Not a lot of people really know much about the Lucid. It’s pretty new in the market still, but it’s a good solid unit that’s given no problems and shoots with astonishing accuracy.